I'm a little late to the Moscow Mule Party, but I've adored seeing copper mugs everywhere— they're so pretty! I finally received a 16 oz. PureCopper brand mug of my own and just love it! It's rarely put away as I use it daily now. 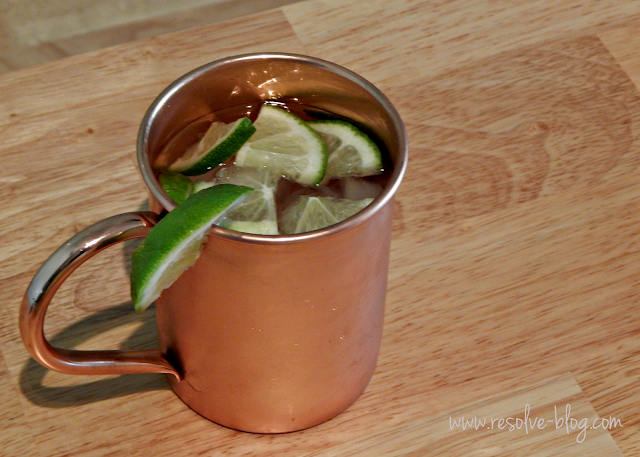 It generally contains a "virgin" mule...and I really mean virgin: iced water with lime. Drinks get sooo cold in this thing; it's perfect, especially in warmer temperatures (way more cost effective than air conditioning!). But, a little cocktail now and then is nice, and in addition to the gorgeous, sturdy mug (it's the #1 new release in it's category on Amazon! 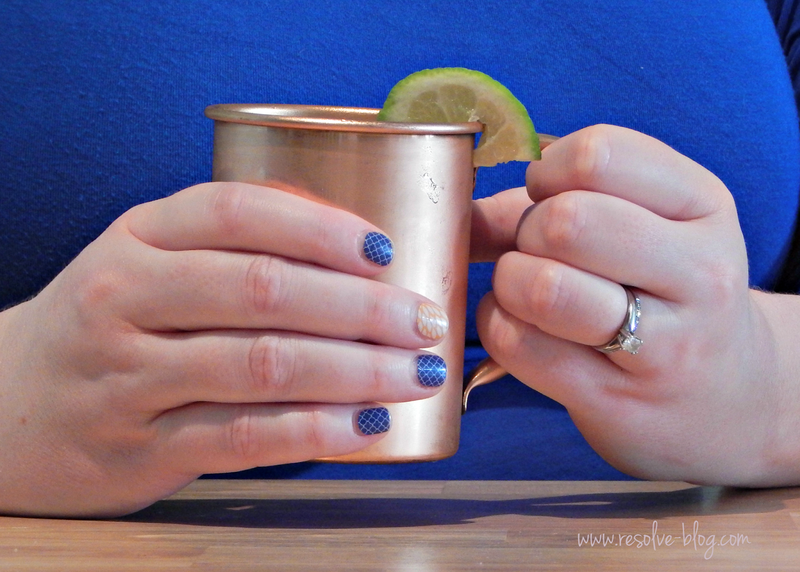 ), PureCopper includes cocktail recipe cards to try out with all sorts of tasty-sounding variations of the mule. 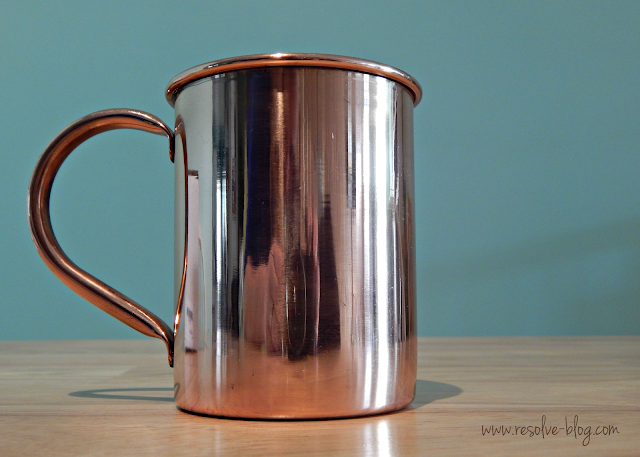 I know there are maintenance questions since the mug is 100% real copper. It's so easy—just wash and dry by hand and you're done. Try not to leave liquids in the mug overnight. Mine still looks good as new, but I can't wait to see the gorgeous patina as it ages. With my hubby wanting to set up a bar in his man cave den, I'm thinking I need to buy him a matching set to add to his essentials...and so that I can keep mine to myself!